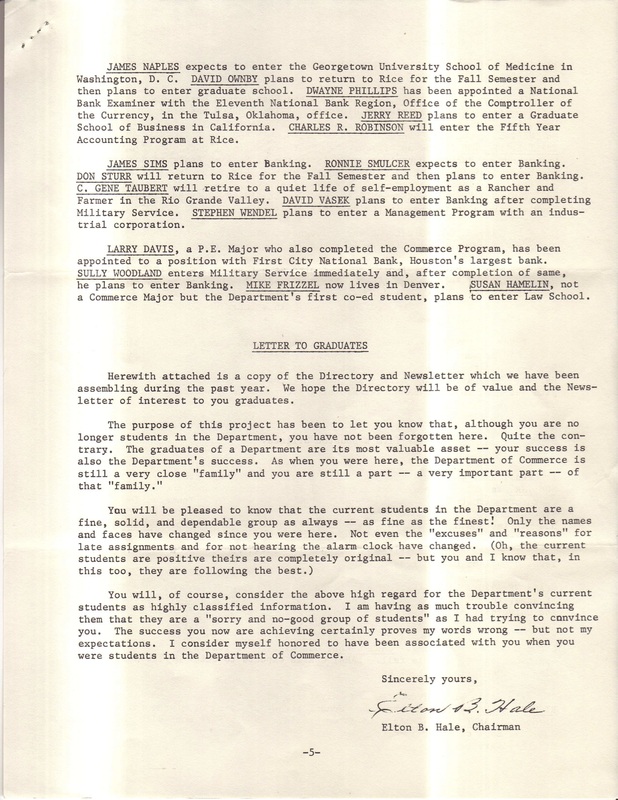 Loyal reader Buddy Chuoke ’75 recently sent me a copy of this 1970 newsletter full of updates on graduates of the Commerce Department. 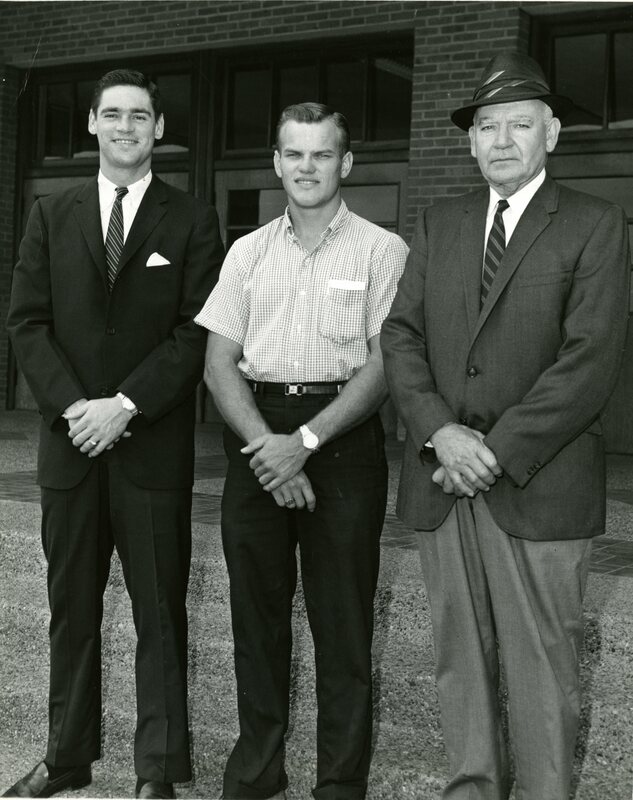 As early as the 1920s fans of Rice athletics were pushing for an academic program for athletes that would focus on preparing them for business careers. 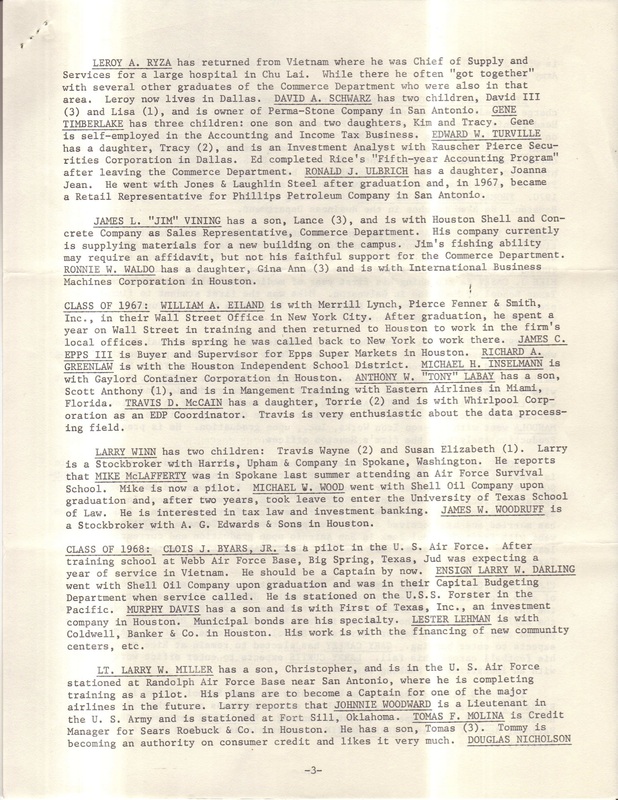 With significant financial support from Houston business and civic leaders such a program was formally instituted by 1930. Never fully satisfactory, this program was later replaced by a curriculum in Physical Education, which in turn was also never fully satisfactory. So over the years we went uneasily back and forth between them. It’s too long and twisty a story to go into here but you don’t really need to know it to get something from this document. There’s one more thing I can’t resist. 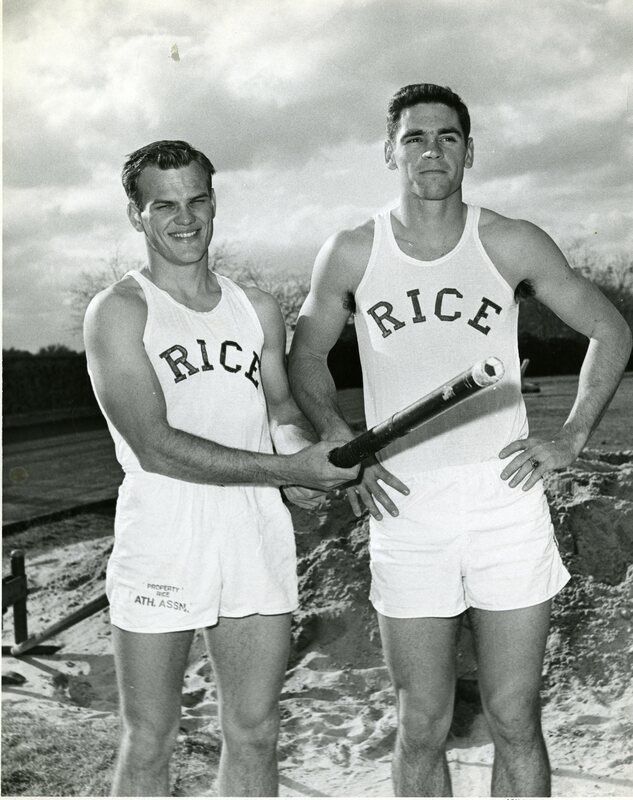 Two pole vaulters, Fred Hansen ’63 and Warren Bratloff ’65, are mentioned. I just happen to have with me two pictures of them together, in dramatically different outfits. (Don’t ask me why I have these because I don’t know.) But this is exactly the kind of thing that makes me smile. That’s the great Emmett Brunson ’29 at right. He was a track star as a student then the coach of many stars. Those two little boys of Bratloff’s also vaulted for Rice when they got bigger. Bonus: Most people don’t realize that Rice deans are issued a uniform when they get the job. It makes it easier for the rest of us to recognize them on sight and act accordingly. 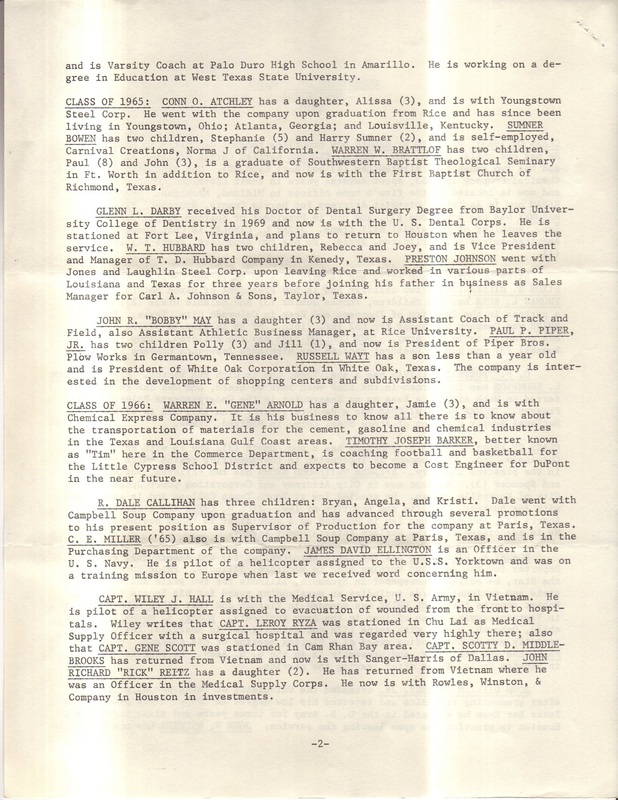 You have probably written about Dr. Fred Hansen previously. He won the gold medal in the pole vault in 1964 and held the world record for two years. Although the Commerce degree was established few years after I graduated, I recognized a lot of names in that newsletter. Thanks. What’s the Dean of Music carrying? Bach’s lunch! 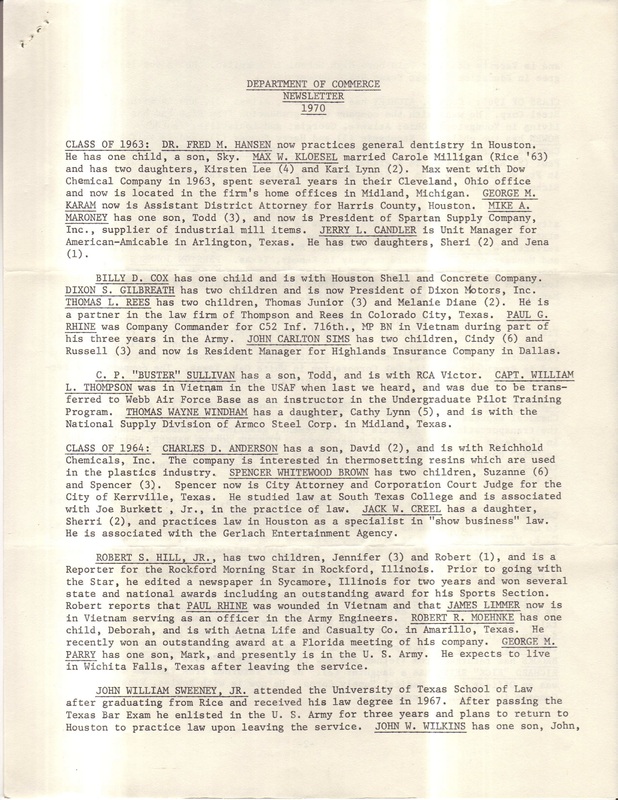 I found it odd that the newsletter mostly mentions the names of the graduates’ children, but not their wives. 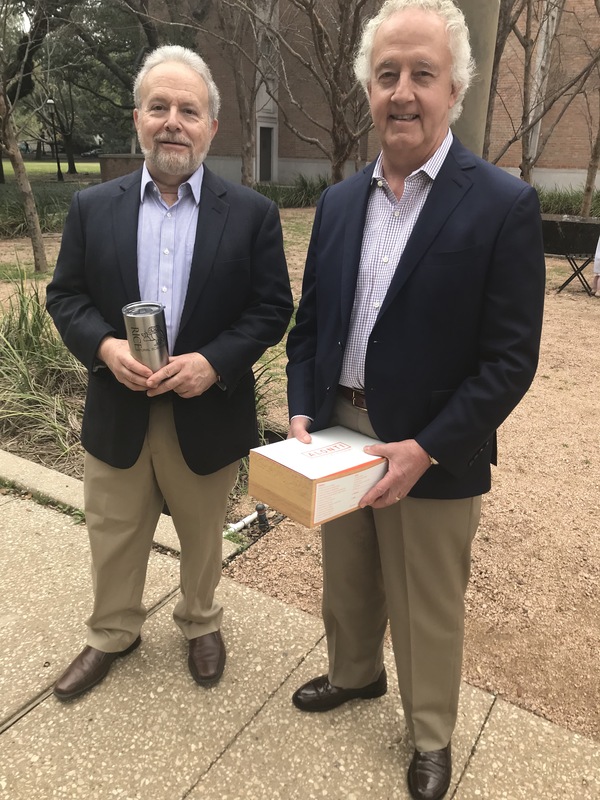 As a 1975 Commerce grad, it pains me to read the kind words of our department Chair, Dr. Hale – a man who taught us, guided us, and helped us find our way into the world outside the hedges – and know that we let him retire, live to an old age near the Rice campus, and pass from this life without honoring him properly. 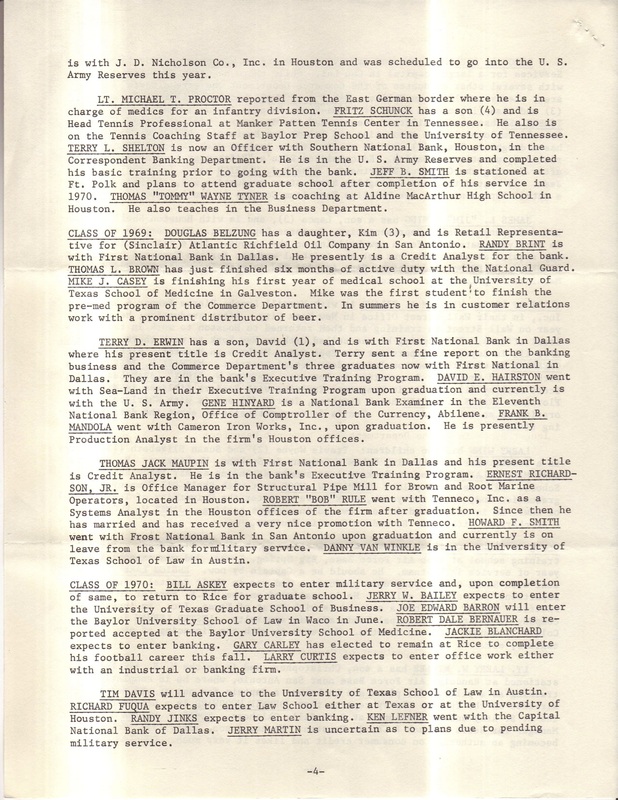 I would like to believe that if Rice still had an undergraduate Commerce or Business degree (like all of the other major universities in STATE do), the Commerce alums would have done the right thing and funded a professorship in his name.